Well, after 17 years as a journalist, five kids and too many late nights, you’ve got to believe I love coffee. And to drive home the point, here’s a recipe for coffee cake actually MADE with coffee. The coffee and chocolate combo offers a delicious depth of flavor. I also used sour cream in this recipe, which makes for a rich, dense cake, perfect for holding the pecan and brown sugar swirl in the middle. 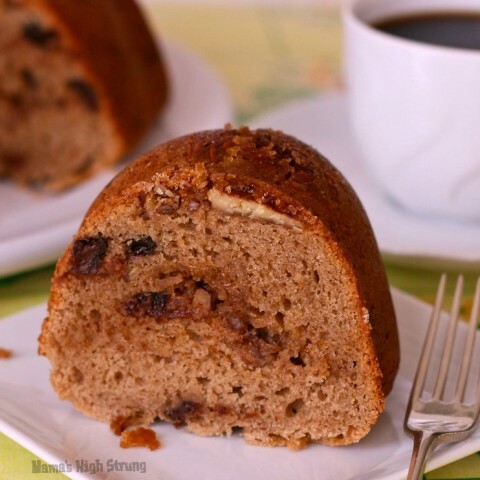 Even better… this is a totally gluten free recipe, made with Bob’s Red Mill 1-to-1 Baking Flour. I also tested it using All-Purpose flour, so you’ll get the same perfect results with either type of flour. 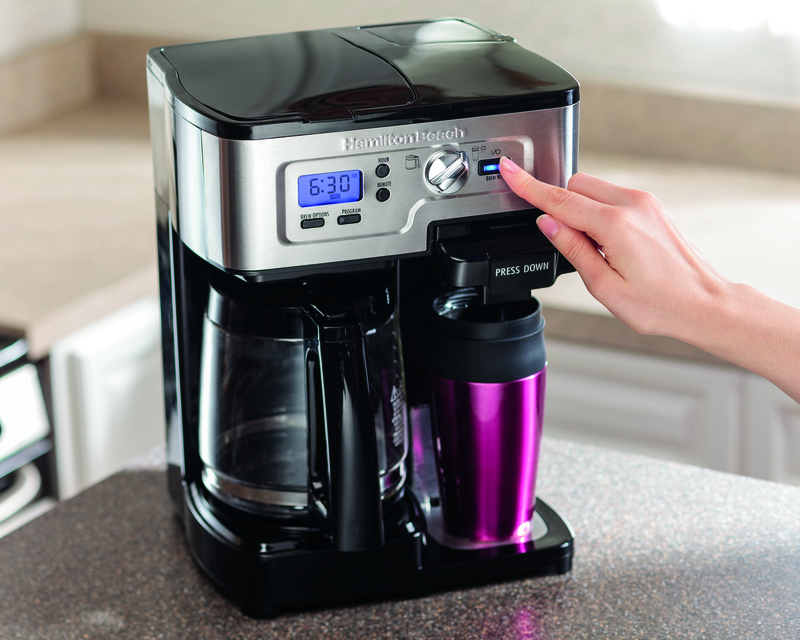 One other thing… this recipe calls for a ½ cup of brewed coffee, so I used the Single-Serve side of my Hamilton Beach 2-Way FlexBrew® Coffeemaker. When I was ready to serve the cake, I brewed a large pot of coffee on the Carafe Side. My pals at Hamilton Beach sent me the FlexBrew® Coffeemaker to try out… it’s great being able to make a big old pot of coffee OR a just a cup! 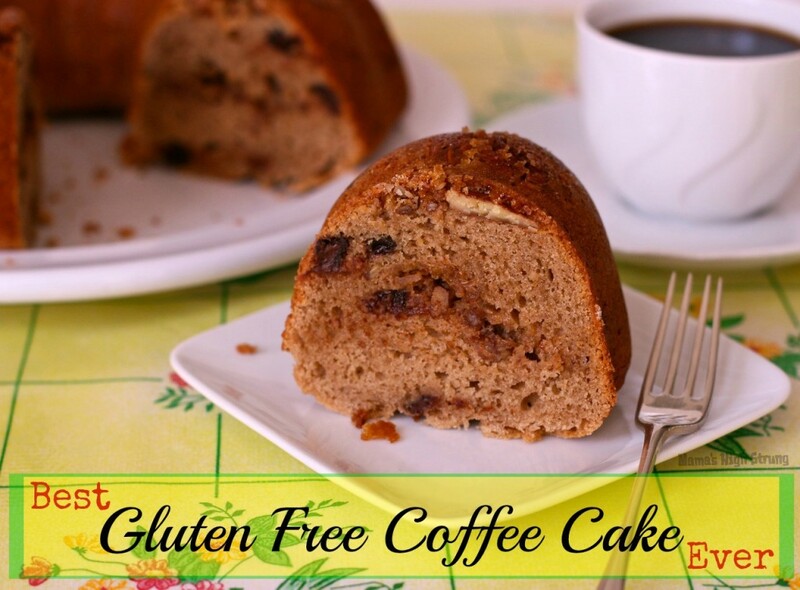 So here’s my recipe for the Best Gluten Free Coffee Cake Ever… made with coffee. Funny how things sometimes come full circle. Place the oven rack in the middle of the oven. Heat the oven to 350°F. Grease a 12-cup Bundt pan. Combine the pecans and brown sugar together in a small bowl. Spoon half of the mixture into the greased pan; set aside remaining nut mixture. Whisk the chilled coffee, sour cream and vanilla together in a small bowl; set aside. Stir the flour, cinnamon, baking powder, baking soda and salt together in a medium bowl until blended; set aside. Beat the sugar and the butter together with a mixer until light and fluffy. Add the beaten eggs. With mixture on medium-low, alternate adding the flour mixture and the sour cream mixture and mix until smooth. Mix in the chocolate chips. Spoon half of the batter into the greased Bundt pan on top of the nut mixture you sprinkled in earlier. Sprinkle remaining nut mixture on top of the batter. Top with the remaining batter. Bake for 45 to 50 minutes, or until a toothpick comes out clean. Cool the Best Gluten Free Coffee Cake Ever in the pan for 10 minutes and then loosen the sides with a knife. Invert it onto a wire rack and remove the pan. Cool cake completely before slicing into a little piece of heaven. This would be a perfect cake to take to work. We have a lot of GF employees! Thanks for the recipe! Our family has to be gluten free & I bake almost every day, from scratch. I love the Bob’s Red Mill brand. A company that never fails for the taste as well as the texture. Trying this one in the morning! Let me know what you think, Bailey. I made this for a friend who said she didn’t like the chocolate chips… but for me, I’ll take chocolate in anything! I’m a newcomer to gluten free and always have my eye out for new recipes. This one looks great! Gluten Free is not flavor free… it’s just finding the right recipes. Thanks for stopping by. Looks so tasty! I love the pecans. I’m from Texas, so of course I love pecans. Any nut will work, though! Thanks for saying hello Holly! This looks amazing! I am definitely going to try this! Thanks, Lori… let me know how it turns out! You are welcome, Elena. I’m going to make it for a friend’s mother for Mother’s Day since my mom is far, far away in Texas! You are so amazing and have such a fun link party. I can’t tell you how many recipes I’ve found there! Thanks Diana! I’m going to try some variations… I’ll let you know. This sounds wonderful! I love anything with coffee added to it! Thanks so much Amy! 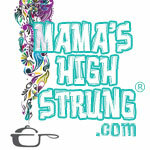 Let me know if you try it… you will love it! Theresa you are so sweet… like the coffeecake! Ha! Actually, I’m not a fan over cloyingly sweet coffeecakes and this one is definitely not like that! I think it’s the coffee that give it a nice balance. This looks amazing, Christina! I’m really wanting to try more gluten free options. I feel so much better when I eat that way. Thanks for the recipe! Thanks, Candace. I can’t tell you how much better I feel eating gluten-free. I’m not 100%, but a cutting out a little goes a loooong way! 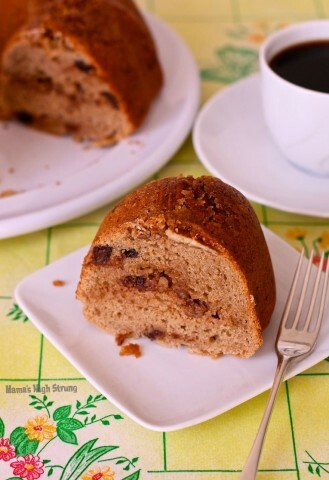 This coffee cake looks delicious! Glad to know it can be made gluten free or not! Pinning! I was totally surprised at how good the gluten-free flour tasted and how easy it was to work with! I was just as happy that it tasted the same with regular flour. Thanks for the pin! Ooh that does sound yummy! Us moms do live off coffee so a cake made with it? Perfection.